At By Request we are painfully aware that you might be trying to organise and event or party, you are looking for catering venues maybe for a birthday, an anniversary, a Christening, a wedding, a meeting, retirement or even a funeral. You think you have found a nice venue, you mention you maybe interested in providing food and you are told you have to have their catering and prices start at £20 per head, minimum of 50 for sandwiches and defrosted factory made gateaux!! Not a great situation! But if you love the venue, its local and has parking so you ask can you “tweak” the menu? No, no alterations are possible, its menu A, B or C, final numbers 2 months in advance ALL paid upfront! We at By Request think customers deserve better. So we don’t think the food is the be all and end all at a social gathering, but we think its important and that any customers get good food, good service and value for money. So with this in mind we have started to put together some information about venues where they allow you to bring By Request in to do the catering rather than having to have what they want you to have at an over inflated cost. If you are a venue and would like to be included, please get in touch. The following venues are in no particular order, have no ties to By Request, the information is provided just as assistance. If you find the venues are unhelpful again please let us know so we can remove them from the list. Address Ashfield Crescent, Off Ashfield Road, Cheadle, Cheshire,SK8 1BQ. Ideal location for a wedding, party or holiday stay. Situated in its own grounds in the Peak district just outside Buxton Derbyshire. Large property ideal for weddings and holidays. Private accommodation, function rooms, grounds, marquee. We are now back home in Reading, Pete and myself are looking forward to a few days rest. Thank you once again Carl for a wonderful meal. Everyone loved it and couldn’t believe you were able to prepare so many meals in those apartments. Lots of guests said how gorgeous the meal was especially the meat. well all the ones who were sober enough to remember eating. As I mentioned when I saw you after, I loved it, apart from the sticky toffee pudding which was a little too sweet for my liking, but not to worry Pete managed to eat my portion, as usual. We had a lovely day even the weather couldn’t spoil things. It was a special occasion for us watching our little girl get married. It was a very good choice using your team to cater for us. As promised it was all hot and your staff are excellent. Please extend a very deserved thank you to all the waitresses . We thought the staff were so efficient in serving everyone as quickly as possible ensuring every portion went out piping hot. I would not hesitate to recommend you for catering at Hargate Hall. Large and small halls, licensed venue for civil ceremonies,vicensed bar, kitchen, full stage facilities, extensive outdoor space, large free car park. Great club, a couple of different sized rooms. Nice bar, competitive bar prices. 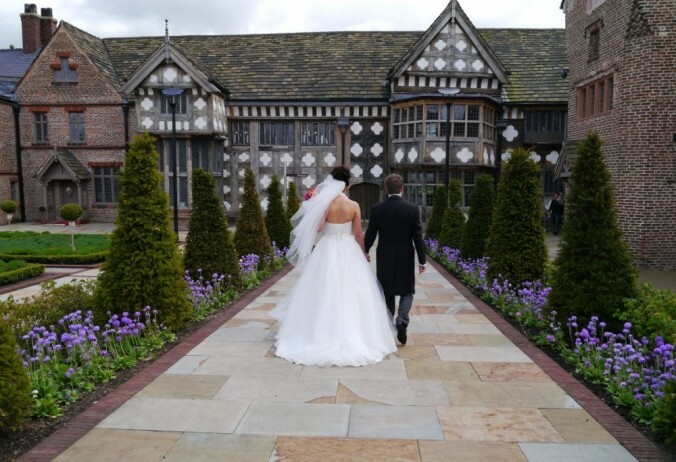 Say your vows in the glorious surroundings of the 500 year old timber framed Great Hall under the stunning Victorian chandelier. It is a Social Club that has been entertaining visitors for more than fifty years now. They hold a great number of activities, and you can also hold your own events here.